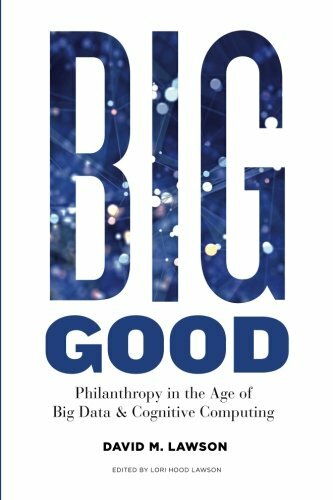 Big Good – Philanthropy in the Age of Big Data & Cognitive Computing is written for the people who need actionable insights to help them meet the challenges of their organisation’s mission. 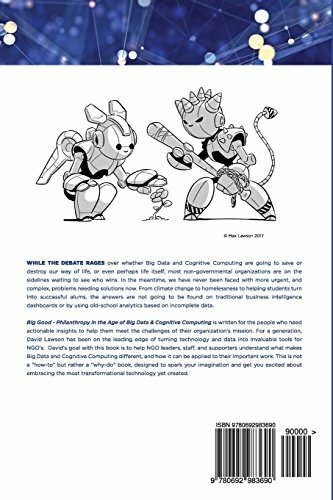 David M Lawson’s book aims to help NGO leaders, staff, and supporters understand what makes big data and cognitive computing different, and how it can be applied to their important work. This is not a “how-to” but rather a “why-do” book, designed to spark your imagination and get you excited about embracing the most transformational technology yet created. David M Lawson has been a leader in bringing technology and insights to the philanthropic community for a generation. He created the first asset-based wealth screening service as well as the first software to manage screening data. In 1997, he founded Prospect Information Network (P!N), which became the largest wealth screening company before being purchased in 2004. He is CEO and co-founder of NewSci, LLC. In 2014, he was among the early application developers approved to use IBM Watson.